For some New Zealand businesses, the average washroom drying option simply isn’t enough. Hands take too long to dry and the germs already settle in. If your business needs a dryer that goes an extra mile, we have it. It is quiet and very quick. Alsco New Zealand has the solution for you. Super-fast, quiet, and environmentally-friendly to boot, the Jet Dry Executive is the modern answer to hand-drying in your business’s washrooms. The Jet Dry Executive is the pinnacle of washroom drying solutions. 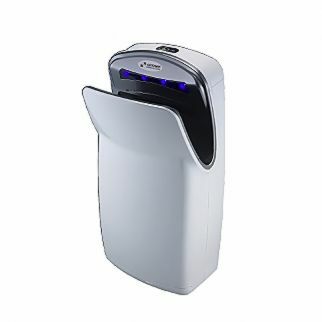 It uses a high powered motor to create warm air that will dry hands in 10-12 seconds. It is not just low on sound. It is also low on power consumption. 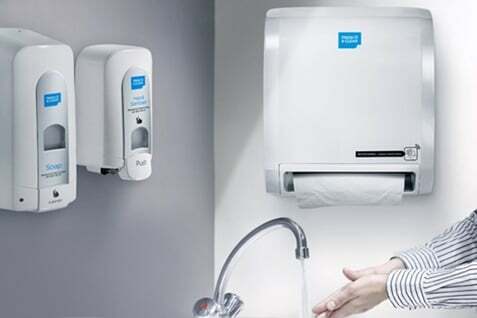 It means Jet Dry Executive saves money and time while ensuring superb hand care and complete hand drying. 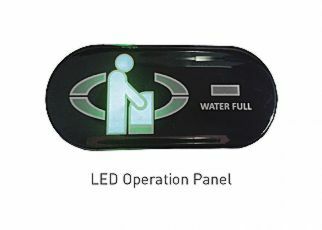 Moreover, it’s sleek and trendy design improves your washroom interior. In comparison to other air dryers, Jet Dry Executive is surprisingly quiet, especially if you take its power into account . It also spreads a refreshing scent. 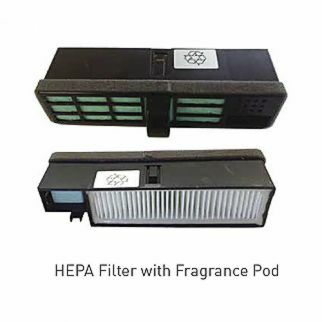 This excellent hand drying option is equipped with a triple HEPA filter that has anti-bacterial properties, but also blocks many viruses and other germs. It means that the unit is always clean and sanitary. 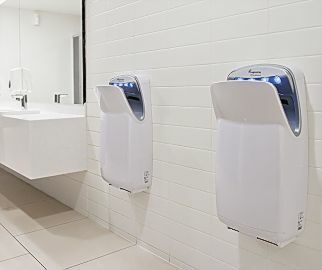 While we expect no issues with your Jet Dry Executive, Alsco will still regularly come to service, clean and possibly replace your hand drying units. Our managed rental service is designed to give you a complete peace of mind.